Toronto, ON – Canada and the United States share the world’s longest undefended border between two countries, some 8,891 kilometers or 5,525 miles touching four Great Lakes, eight provinces and 13 states. We speak the same language, English, although Canada’s second official language is French. We have a similar currency although the American dollar is worth a little more than ours. We also share a desire to work hard, earn a decent wage, have respect in our workplace and be able to give back to our respective communities while being able to enjoy retirement with dignity. Since 1890 we have also shared one great Union which makes all of those desires possible – the IAM. In an age when isolationism and individualism is on the upswing with some union leaders targeting International Unions by wrapping themselves in their country’s flag in an effort to divide, conquer and absorb our membership for their own gain, the IAM stands tall. Canada is not only a separate country but a separate Territory within the IAM structure and is duly recognized as such. Canadian members not only elect the International President and the General Secretary Treasurer but they elect their own Canadian General Vice President, who sits on the executive council of the union. “We have many elements in common with our American Brothers and Sisters but we have Canadian autonomy for Canadian issues,” explains Stan Pickthall, our current GVP. “We have the best training facility money can buy because we are an International,” explains Ritchie. You can’t really place a dollar value on the quality of education delivered to Canadian members by the IAM at the William W Winpisinger Education Centre in Hollywood, Maryland, south of Washington D.C. Canadians can join their American brothers and sisters to jointly learn such things as Collective Bargaining, Bargaining Preparations, First Contract, Organizing 1 and 2, Web Site production, Communications Skills such as newsletter writing, leadership 1 and 2 in English, French and Spanish, Train the Trainer which develops our future leaders and so much more. Keeping in mind that American Labour laws are often radically different than Canadian Labour Laws, many of the classes are a mixture of Americans and Canadians and we learn from each other, the differences in the legislation become an advantage, not a hindrance. This is not only beneficial in learning the nuances of first contracts and collective bargaining, but our joint experiences assist in organizing drives on both sides of the border. The IAM is the largest union in the air transport sector in both countries. As an International, the IAM has considerable clout in the air transport industry. What can work for members at Air Canada can also be beneficial to our members at Southwest or American Airlines as an example? The exchange of information between American and Canadian members concerning air transport has assisted in the formation of contracts that are the industry standard not only for North America but around the world. The IAM is a member of the ITF – International Transportation Federation. Why is that important to our members? 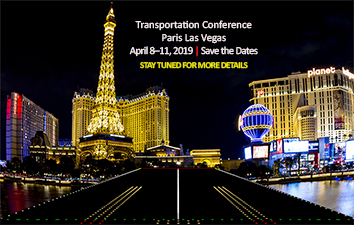 The ITF is an organization which oversees civil aviation, rail transportation, fisheries, road transportation, urban transport, and inland navigation. 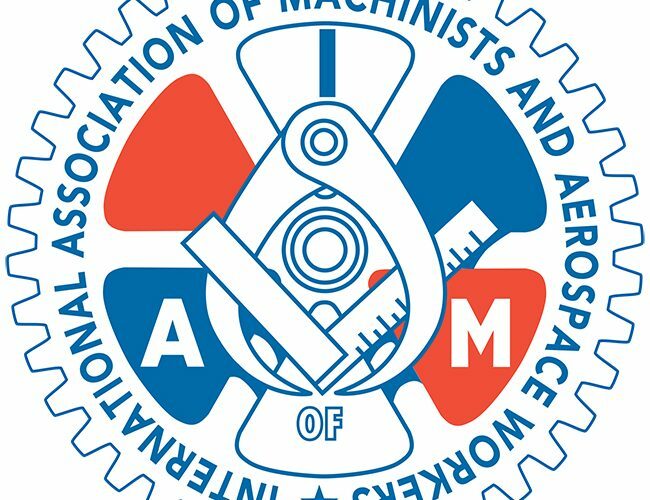 IAM not only represents air transport workers but it is also the largest union in aerospace on both sides of the border; so we’re interested not only in the airlines but the aircraft used by those airlines. We also represent the largest manufacturer of buses on both sides of the border so having world input of road transportation both in and out of urban areas gives our members an edge. This would not be possible without being part of an international. One of the trademarks of the Machinists is service to the community and members south of the border dug deep into their pockets to help out their Canadian brothers and sisters in Fort Mac Murray, Alberta in the spring of 2016. A wildfire covering an area the size of the states of Maryland, Delaware and Pennsylvania, swept through the northern Alberta and parts of neighbouring Saskatchewan. It forced the evacuation of Fort MacMurray and adjoining communities, some 88,000 people in total, many of them IAM members. More than 2,400 homes were destroyed and it took months before people could return home. Because the IAM is an International Union, we could draw from our Disaster Relief Fund to assist IAM members impacted by the fire. More than $100,000 was provided to members to assist in their recovery and donations from local lodges across North America more than matched that amount. Canadian IAM members answered the call in the summer of 2017 providing relief to American IAM members in Texas who suffered from hurricane Harvey. Without an International, those funds would not be available. So the next time someone questions the value of belonging to an International Union, I’ll leave that answer to Dave Ritchie. “To denounce International unions in favour of national unions is divisive to the labour movement, you have to look at the benefits of the bigger picture,” he explains. “We talk about standards and a level playing field, they come together with an International Union.” One Union One Voice One IAM.